Look, if you’re going to mess with the shark, be prepared for a bite! That’s the best advice I can give you if you want to start messing around with Ghost Pepper Sauce. Ghost peppers are scary – and not in a funny Halloween costume sort of way. Ghost peppers are scary in a burn your mouth, make you sick, you’ll question your life choices… sort of way! 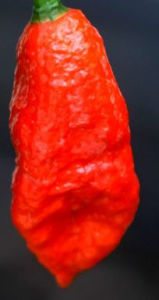 You see, ghost peppers are some of the hottest peppers on the face of the earth. No joke. 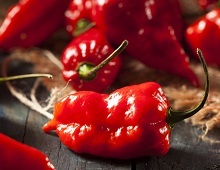 Ghost peppers are also called the bhut jolokia chili pepper. Want to see how hot? Here’s a video of someone throwing-up after eating Ghost Pepper Sauce. Want to see more? Are you crazy? Well, to see more, just google “ghost pepper challenge” and you’ll spend the next hour going down the rabbit hole of ghost pepper videos! Honestly, these videos are why I pick hot sauces for taste, not just heat. I don’t want my mouth to turn into a ball of flames… I just want my food to taste better! But hey – if you like to eat molten lava – these peppers are a great place to start. I mean really, really, really – please don’t underestimate how hot – HOT. Here’s a ghost pepper tip… Be careful when using the peppers… wear rubber gloves… and for gosh sake, don’t rub your eyes after handling these things. Now one website recommended a mask, goggles, and long sleeves… that’s a little much, but if you’re sensitive, take precautions. Actually, if you’re sensitive to peppers, why are you messing with ghost peppers? You might want to rethink your plan here! The best choice – MILK! If you’re testing something and it’s crazy hot – swish and spit a mouthful (or two, or three) of milk. The fat in the milk will help soothe the pain… so don’t use skim milk for this – whole milk is best. I’ve also read that ice cream is a good soothing agent too… but I’ve never tried it. When making a sauce from the ghost pepper, start small… Yes, small. If the recipe calls for 1 pepper – you might consider starting with a half of a pepper. Then on your second batch, you can add more heat. Remember, you can always make more sauce if you like it hotter! My final tip for Ghost Pepper Sauce… Store it right. Ghost Pepper Sauce is one of those foods where a little goes a long way. So, if you make a batch, don’t let it go to waste. I’m not a food storage expert, but if you want to keep your hot sauce longer than a few days, do your research. What I found online was most people add extra vinegar to bring the PH below 4.4. Is that the right number? I’m not sure… if any of you food storage experts or home canners want to chime in… leave a comment in the section below. So, there you have it… Four tips to follow when playing with ghosts… I mean the ghost pepper. But of course, I can’t leave without recommending a recipe. This is hot… really hot. You’re warned. Ok, here’s a simple recipe for ghost peppers. Start in a well ventilated kitchen. Simmer for 30 – 40 minutes – until everything is soft. Add additional vinegar to get the perfect consistency / taste / PH. 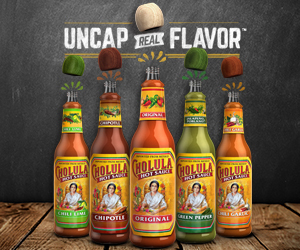 Bottle and use cautiously (this stuff is hot… I mean really hot).